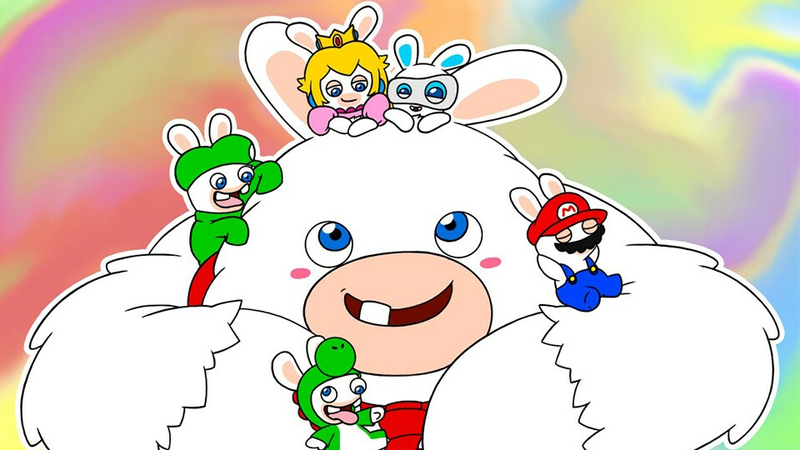 Rabbid Luigi is the most ingenuous of the Rabbid heroes. Although Rabbid Luigi is easily scared, avoiding conflict when given the choice, he has very strong powers! He might not seem very menacing at first, but his great defensive and elemental skills make him the wizard every team needs. 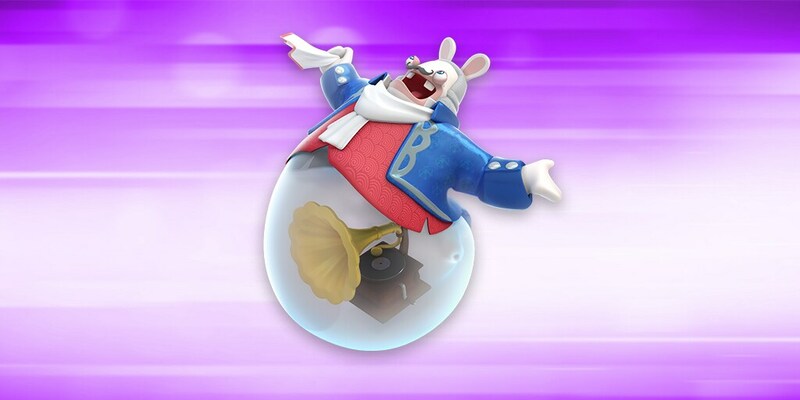 BWORB: It might have a strange name, but the BWORB is an effective mid-range weapon which enables Rabbid Luigi to shoot lasers at any individual enemy who would dare try to break his line of defense. ROCKET: Once the secondary weapon is unlocked, Rabbid Luigi can fire a very dangerous mid-range rocket launcher, which deals zone damage to both breakable covers and enemies, leaving your foes uncovered and vulnerable. SUPER BARRIER: To overcome his fearfulness, Rabbid Luigi needs to feel protected to move forward in battle. As a result, he has developed an individual and unique shield that reduces a bit of incoming damage (around 10%) and protects him from all super effects. WEAKEN: When his teammates are making an offensive move and end their turns outside cover, Rabbid Luigi can lend them a hand and use this area of effect ability to reduce the attack of every enemy within his range. VAMP DASH: Whenever Rabbid Luigi dashes an enemy, he also recovers an amount of health equivalent to a percentage (that can be increased with the skill tree) of the damage dealt. This elementary skill, combined with the great mobility of Rabbid Luigi, can be decisive in long battles. MOVE IN CLOSE: Luigi’s Itchy Feet ability enables him to increase the area of movement of all nearby heroes. When activated, Rabbid Luigi can get close to the enemies and use Weaken to reduce their attack. 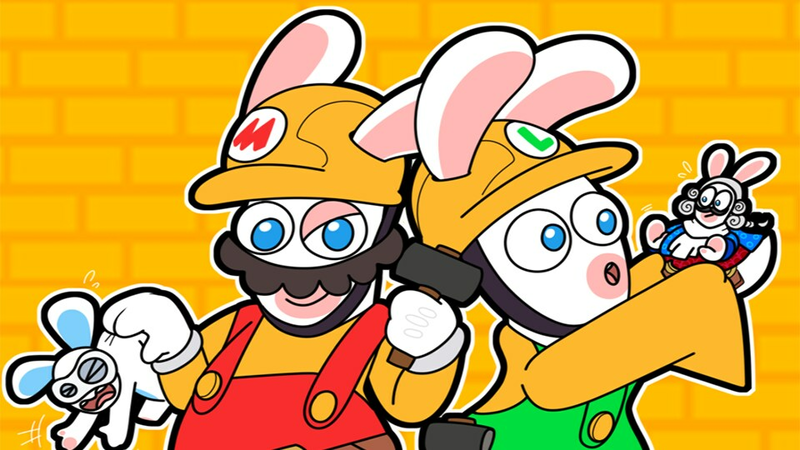 Once that’s done, offensive characters like Mario or Rabbid Mario can charge into melee range and deal serious damage with their hammers without fear of a strong retaliation. TEAM UP WITH LUIGI: Luigi and Rabbid Luigi are two complementary heroes. Try using Rabbid Luigi to instantly destroy breakable covers with his rocket launcher, then let Luigi use his high-range Precision weapon to shoot all the uncovered enemies, without any need to move. CREATE DEFENSIVE SYNERGY: Here is an ultimate defensive combo: Use Rabbid Luigi’s Weaken ability to reduce an enemy’s attack. Then have Peach activate her Protection ability, which will split the already-lowered damage between all heroes during the enemy’s turn, to keep your team safe and largely unharmed. DOUBLE ROCKET: Using Yoshi’s and Rabbid Luigi’s rockets at the same time may be a good strategic move. By doing this, you can destroy multiple breakable covers and force your enemies to find new cover, isolating them and making them easy targets. Learn more about Mario here.